The days are getting shorter, the darkness much longer, and the nip in the air is hard to ignore. Winter is nearly here. And while my family lives for the winter–my husband and kids have a passion for skiing that eclipses everything else this time of year–I’m not quite ready to give over fully to it yet. 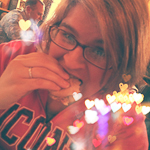 I’m grasping at straws here, holding on to anything that reminds me of the sunshine I am sorely missing. 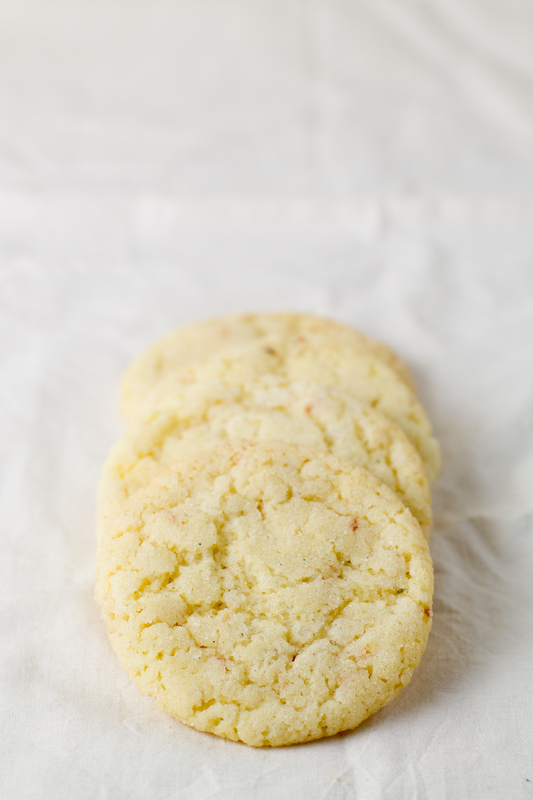 Coconut Lime Sugar Cookies embody the spirit of a season long past, a whisper of hope for what’s to come… We can make it. We can get through this. And our patience will be rewarded; our bodies will be kissed by the sun again. Someday. It was my intention to turn these into a sort of margarita-in-a-cookie, but the tequila and orange liqueur flavors didn’t come through as strongly as I had hoped. Regardless, the flavors meld well with the rest, creating a cookie with a crispy exterior, chewy interior, combining into something really quite addictive. I’d say they’d last 3-4 days at room temperature, but I’m not sure they’d last that long anyway. You won’t be able to put them down. Maybe you should freeze some to ration throughout the winter. Breadcrumbs leading to warmer days ahead. Preheat oven to 350 degrees Fahrenheit. Line 2 rimmed cookie sheets with parchment paper and set aside. Spread the coconut in an even layer on a baking sheet and toast it as the oven preheats, tossing frequently and watching carefully to ensure it does not burn (it can happen quickly!). Transfer to a clean bowl and set aside. In a large mixing bowl whisk together the flour, baking soda, baking powder, and salt. Set aside. In the bowl of a stand mixer fitted with the paddle attachment, cream the butter and sugar until light and fluffy (3-4 minutes). Beat in the egg until fully incorporated. Add the orange liqueur, tequila, lime zest, and lime juice and mix until incorporated. Gradually mix in the flour mixture, beating until just combined. Remove from stand mixer. Portion out dough with a #60 cookie scoop, rolling balls in sugar before placing on the cookie sheet. Give them plenty of room, as they will spread a bit. Bake for 9-11 minutes, or until just starting to lightly brown. Leave on cookie sheet for 2 minutes before transferring to wire racks to cool completely. These look amazing, i just love anything with lime! Oooooh…I LOVE these! They remind me of these Key Lime Cooler cookies that were always in this gift box of oranges my Dad sent us for Thanksgiving! There were only like 8 tiny cookies in this little box, so we tried to savor them! I am with you….not ready for the cold. 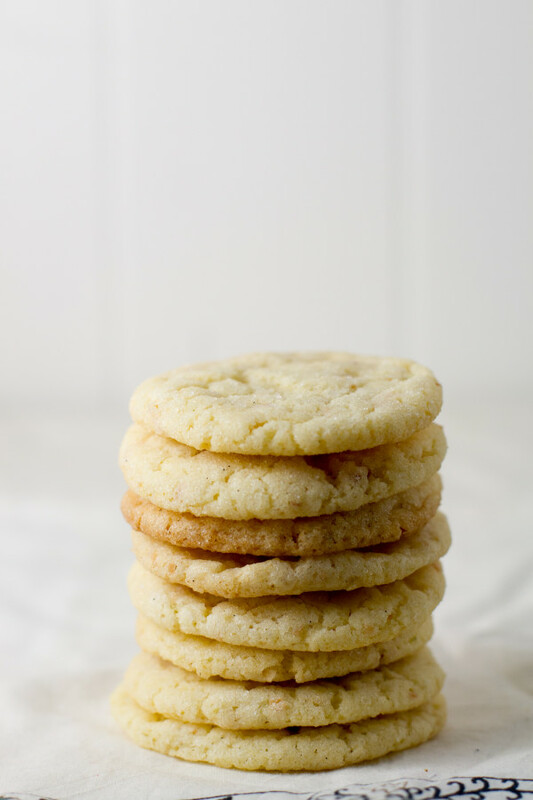 I’m pinning these to make soon…I know my family is going to love them! I’ll be sharing this recipe w/my good friend Olivia, who is OBSESSED with coconut! Is it possible to freeze the dough for baking later? If so, can the dough be baked directly from frozen? If you want to freeze them, I recommend scooping them out onto a lined baking sheet in a single layer (and not rolling in sugar! ), then pop in the freezer. Once the cookie dough balls are frozen, place them in a zip top bag for storage. The only potential issue I foresee is getting the granulated sugar to adhere to the cookie dough balls if you bake straight from frozen. You may need to thaw them slightly before rolling in sugar. Also, they will take longer to bake and they won’t spread as much. Note: I haven’t tested this recipe with freezing and baking straight from frozen, but I have used these methods with other cookie doughs with success. Oooh! Thanks for the follow up! Yeah, we really should be weighing ingredients with baking because it’s so much like a chemistry experiment. Ratios matter! It’s amazing how compacted and heavy a cup of flour can get!